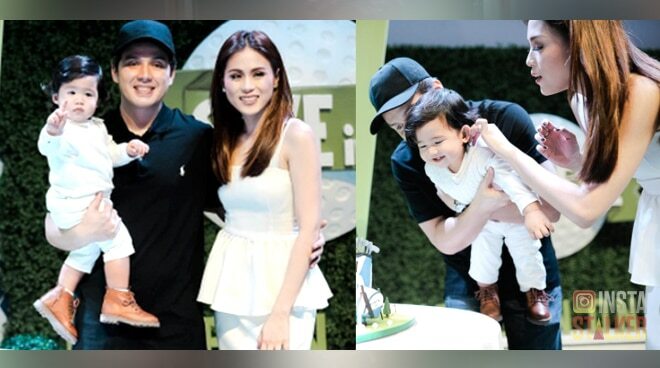 Toni Gonzaga and Paul Soriano’s first born Severiano Elliott turned one on September 30 and had an adorable birthday celebration with their close friends and family. Aside from Seve’s proud grandparents, Toni’s sister Alex Gonzaga was present with her boyfriend Mikee Morada. Celebs like Iya Villana, Mariel Rodriguez, Miles Ocampo were also spotted at the golf-themed party. Seve’s playmate Scarlet Snow Belo attended the party with her parents Vicki Belo and Hayden Kho.